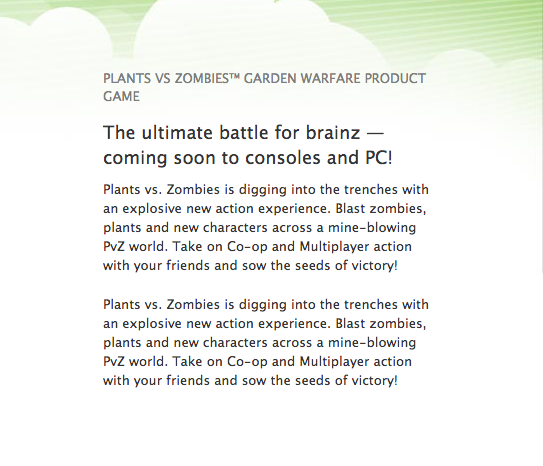 Recently a profusion of imagery has sprung up all over the internet showcasing an as-of-yet unannounced PopCap Games project, speculatively titled Plant vs. Zombies: Garden Warfare. 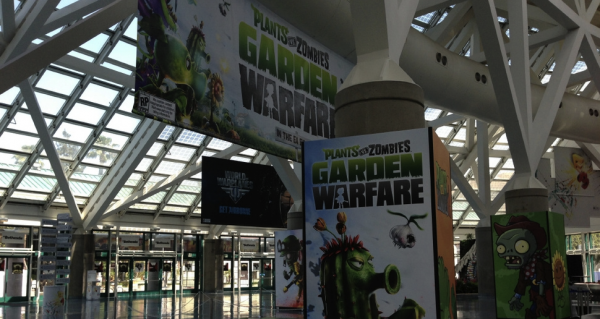 All-but-certain to be revealed at E3 this week, the new game is unlikely to be a traditional tower defence title, due to the imminent release of Plants vs. Zombies 2: It’s About Time on July 18 – and is suspected instead to be the long-rumoured PvZ shooter. The photo above published by Gamekyo combined with a Google cache snapshot of a URL, found by Supererogatory pretty much confirms the title’s existence. Additionally a report by Polygon discovered that www.pvzgardenwarfare.com redirects to the main Popcap home page, making the supposition evermore likely. Whether this new PvZ experience is a shooter or not, we’ll undoubtedly find out at E3, which takes place from June 11-13 at the Los Angeles Convention Centre. Analog Addiction will be covering the event from start to finish, bringing you the biggest breaking stories as they happen, so make sure you keep it locked right here if you want to be in the know.